Earlier this year, we discussed the supply chain implications of Amazon acquiring Whole Foods and how EDI software could help companies thrive with massive changes afoot. Amazon has since slashed prices on grocery staples and replaced the Whole Foods loyalty program with Amazon Prime. Meanwhile, Walmart and Google have established a partnership that will allow Google Express marketplace users to order products from Walmart. This includes voice-based ordering now offered on Amazon Echo devices. These mega deals are focused on removing barriers to shopping choice and convenience. These mega-deals result in further pressure on manufacturers to reduce costs to meet lower pricing requests. The more significant issue is disruption to the manufacturer's supply chain that’s spent the past 30 years mastering shelf replenishment. What do these big deals this mean for manufacturers, and how could fluctuations in their prices affect their bottom line? To help, we’ve outlined a few practical steps for manufacturers to consider as they prepare for the coming customer wars. Clearly, retailing isn’t going away, it’s simply becoming more complex as consumers shop when and where they want with the expectation that purchases will be delivered to their home the same or next day. While some manufacturers have embraced that digital reality, such as P&G shifting major ad budgets from TV to digital channels, the greater challenge is operational. Ask yourself; does Amazon’s Alexa know how your brand name is pronounced? Does changing your packaging once a year help on-line shoppers? Manufacturers must embrace new industry standards for sharing product information to support on-line shopping. They also need to adjust their inventory management practices to support smaller order quantities destined for order-fulfillment warehouses rather than store distribution centers. This means re-working inventory replenishment models, distribution strategies and sales support functions. The good news is that the shift to support consumer-first digital shopping won’t require a wholesale change in supply chain technology infrastructure. Existing ERP, supply chain management and EDI systems used to manage manufacturing and distribution are flexible enough to support both bulk and direct-to-consumer order fulfillment. In an earlier article, we discussed how outsourcing some functions can support the transition from bulk orders to direct-to-consumer. The reality for many manufacturers is that many will outsource consumer order fulfillment to a third party. To do so, you can rely on the same order management and EDI infrastructure using some new EDI transaction sets to support collaborative inventory management with a 3PL (third-party logistics provider). Being late with a shipment these days might not just cost you an account – it could also empty your pocket book. The Wall Street Journal recently reported that both Kroger and Wal-Mart are fining suppliers or issuing chargebacks when orders don’t arrive on time. If you are a manufacturer you can prevent this – and even do a better job than requested – by leveraging exception management tools that enable you to identify business rule violations anywhere in the supply chain before exceptions occur, and even give you an overview of how you’ve performed. The better you user data to track shipments and performance, the fewer problems and added costs incurred. The time is now to embrace e-commerce and dropshipping on behalf of your retail customers. Ensure your business can sell effectively and efficiently through retailers like Amazon/Whole Foods, Walmart and other. 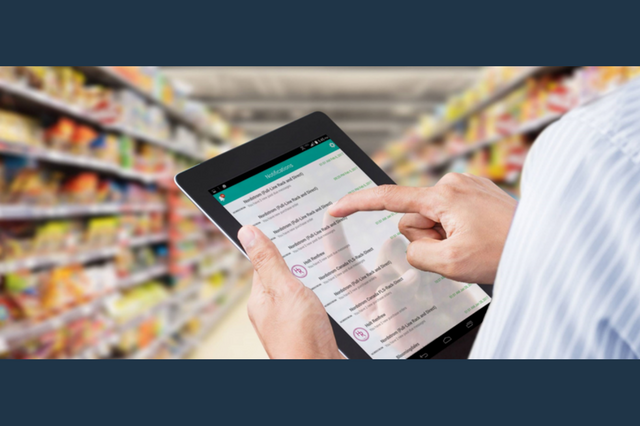 But also ensure that you’re investing in inventory management where you and your retail customers can accesss inventory levels in real-time. Finally, look for partners to help with this transition to mitigate disruption to your operation by leveraging current investments to support your digital future.